I appeared on WILK Newsradio to discuss my objections to Wilkes-Barre City Council government-led prayer. Listen here. I appeared on a local television news report which addressed my objection to government-led prayer at Wilkes-Barre City Council meetings. Watch here. I spoke about my experiences at Women in Secularism 2, the FFRF “Nothing Fails Like Prayer” banner, and more. Listen here. 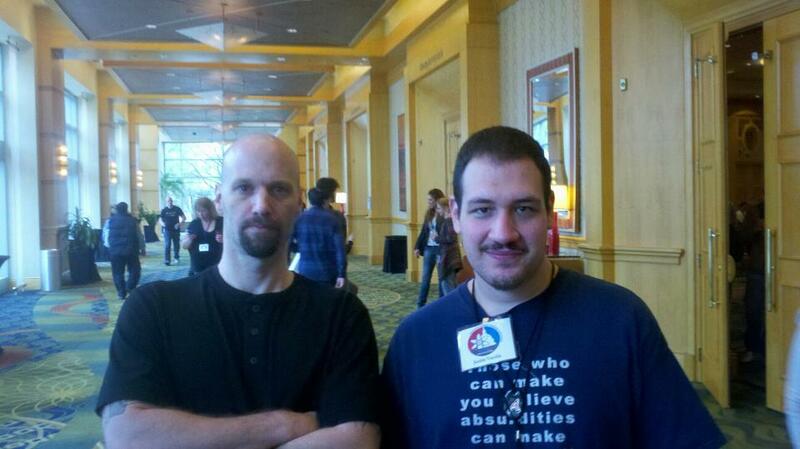 Dan Fincke and I spoke about feminism and controversy within the secular community. Watch here. 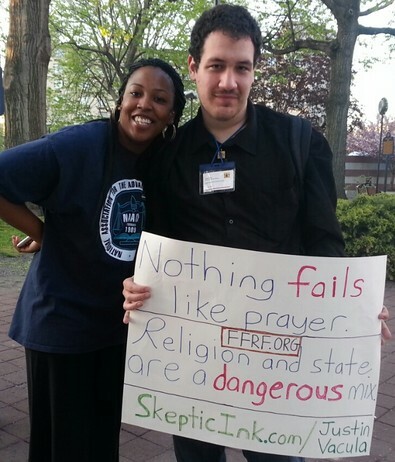 I appeared on the WILK Newsradio show “Corbett” to discuss the FFRF “Nothing Fails Like Prayer” banner I had helped erect atop Public Square in Wilkes-Barre, Pennsylvania. Listen here. I spoke about my experience at Women in Secularism 2 in addition to controversy surrounding opening remarks made at the event from Ron Lindsay. Listen here. I discussed my experience at Women in Secularism 2 including controversy surrounding opening remarks at the conference delivered by Ronald Lindsay. Listen here. I discussed my thoughts on approaches and perspectives within feminism, controversy within the atheist/skeptic communities, Atheism+, controversy stemming from Women in Secularism 2, and much more. Watch here. 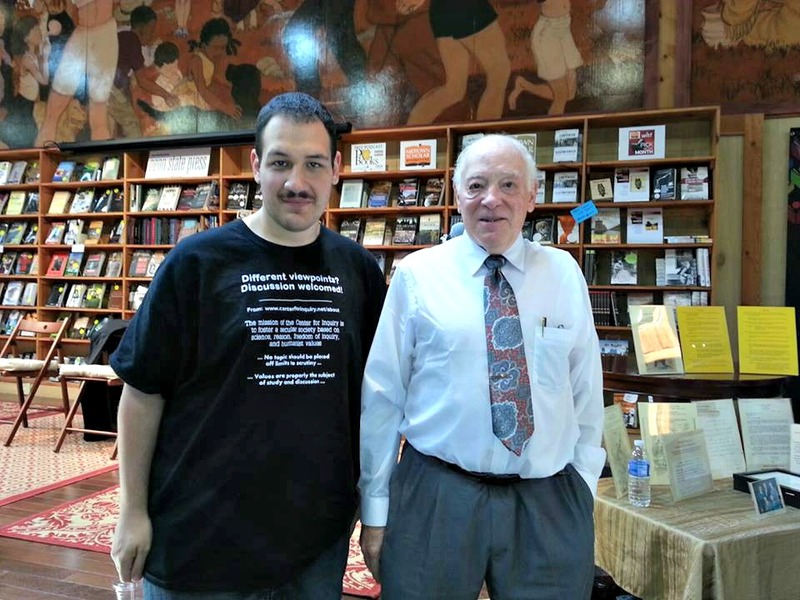 I spoke about my atheist activism including my protest of the “Circle the Square with Prayer” event and the National Day of Prayer in Wilkes-Barre, Pennsylvania. Listen here. I was joined by various guests and hosts of A-News for a Google Hangout session. Watch here. I appeared on the David Madeira Show to discuss a piece I had written concerning the ‘gender wage gap.’ Listen to the show clip here. Damion, Chas, Notung, and I discuss the Slymepit. Listen here. I provided updates concerning the vandalized (and restored) FFRF banner in Wilkes-Barre, a fundraiser helping send me to Women in Secularism 2, and more. Listen here. I discussed the FFRF’s holiday freethought banner which was placed on Public Square in Wilkes-Barre, PA. Listen here. Discussed was the Freedom From Religion Foundation’s holiday freethought banner which I had placed on Public Square in Wilkes-Barre in addition to the controversy and vandalism surrounding it. I appeared on “Corbett” to discuss the FFRF holiday freethought banner which was placed on Public Square in Wilkes-Barre, PA (and later vandalized). Listen here. I was interviewed by WNEP concerning the FFRF holiday freethought banner which was placed on Public Square in Wilkes-Barre. Watch/read here. 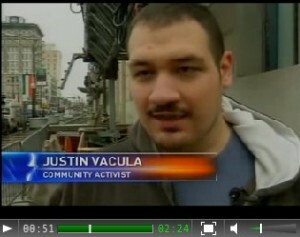 I spoke about secular/atheist activism and current controversy in the secular community. I spoke concerning church/state separation issues in Pennsylvania. Watch the speech and find more information here. I spoke on the ‘Using Media Effectively’ panel at NEPA BlogCon 2012. Watch the video here. I debated Catholic philosopher Dr. Ronda Chervin (Ph.D. Fordham) on the topic of “Does the Christian God Exist?” for a special episode of the NEPA Freethought Society Podcast. 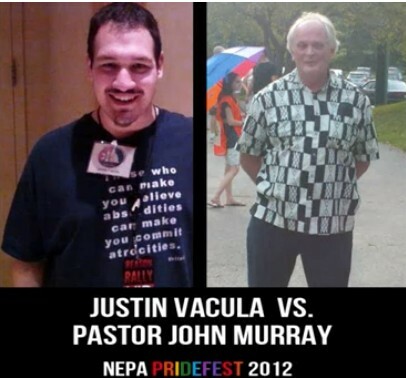 I had an impromptu debate with Pastor John Murray – one of the protesters at NEPA Pridefest 2012 in Wilkes-Barre, Pennsylvania. Listen here. 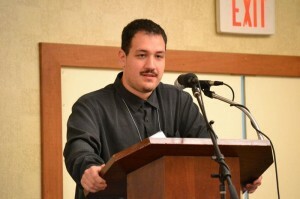 I was invited to be a guest speaker for a college-level philosophy course at Holy Apostles College and Seminary (HACS) in Connecticut. The audio, the transcript of my speech, and some of the questions can be found here. I spoke on the ‘Religious Campuses’ panel concerning the Secular Student Alliance groups I tried to form and my experience as an atheist on religious campuses. The video is available here. 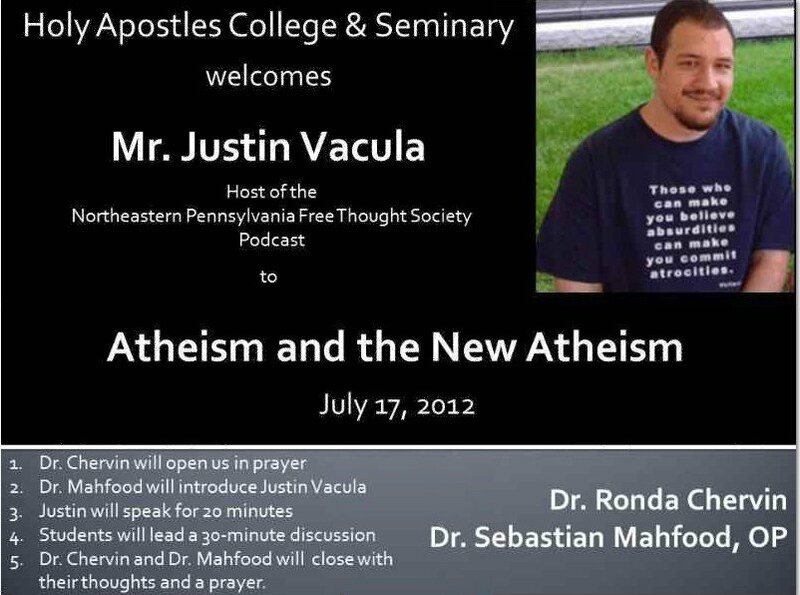 I appeared as a guest on an episode of ReapSowRadio to discuss my speaking engagement for a college-level philosophy course titled “Atheism and New Atheism” at an evangelical Catholic college. 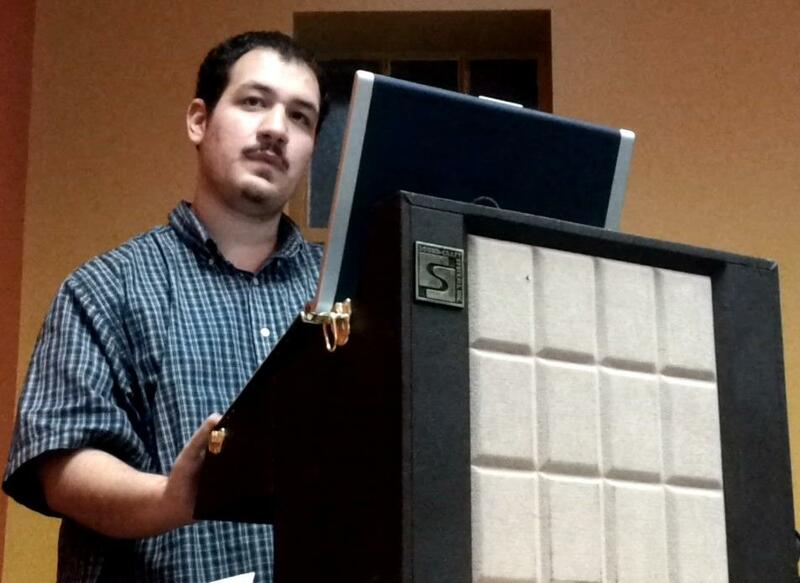 I spoke at a program meeting for the Humanist Association of Greater Philadelphia. The topic of my speech was “Reframing the Discussion.” The video and more information about the speech are here. 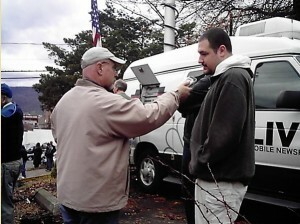 I appeared on an episode of ReapSowRadio to discuss an Establishment Clause violation I discovered in Scranton, PA. I was invited to appear on a public affairs talkshow by a CBS affiliate in Pittsburgh with host Chris Moore to discuss the County of Lackawanna Transit System’s (COLTS) rejection of the “Atheists.” bus ad. I was interviewed by WNEP News (local television) concerning the County of Lackawanna Transit System’s (COLTS) rejection of the “Atheists.” bus ad. I was interviewed by local author Kenny Luck concerning the County of Lackawanna Transit System’s (COLTS) rejection of the “Atheists.” bus ad, the removal of the “God Bless America” message which had appeared on the LED ‘public relations’ signs atop COLTS buses, and threats I received from a COLTS employee. I was interviewed by WBRE News (local television) concerning the County of Lackawanna Transit System’s (COLTS) rejection of the “Atheists.” bus ad. Watch the raw video here. Listen to an audio-only remastered version here. In June of 2011, I published criticism of a chiropractor who claims to “align spines and lifestyles with God’s ultimate intentions” and later received legal threats. I was later interviewed. Listen here. 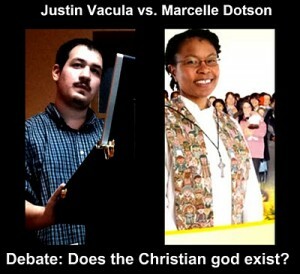 I participated in a “Does the Christian god exist?” debate with blogger J.D. Curtis of TreesForLunch. The compilation post, containing the entire debate, can be found here. I discussed my 2009 church/state battle, the importance of secular activism, hate mail, and much more in a short presentation. More info is here. 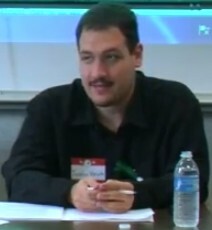 I was invited to speak for a moderated roundtable discussion. 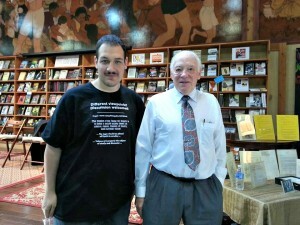 The event – sponsored by the Pages and Places book festival – was held at the Vintage Theater in Scranton, PA. I was invited to speak at a 9/11 remembrance event. I was not able to attend, but my speech was delivered. 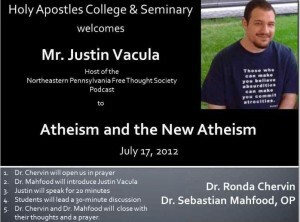 I was interviewed for episode ten of the Angry Atheist Podcast. Members of the Westboro Baptist Church were scheduled to protest a local soldier’s funeral. 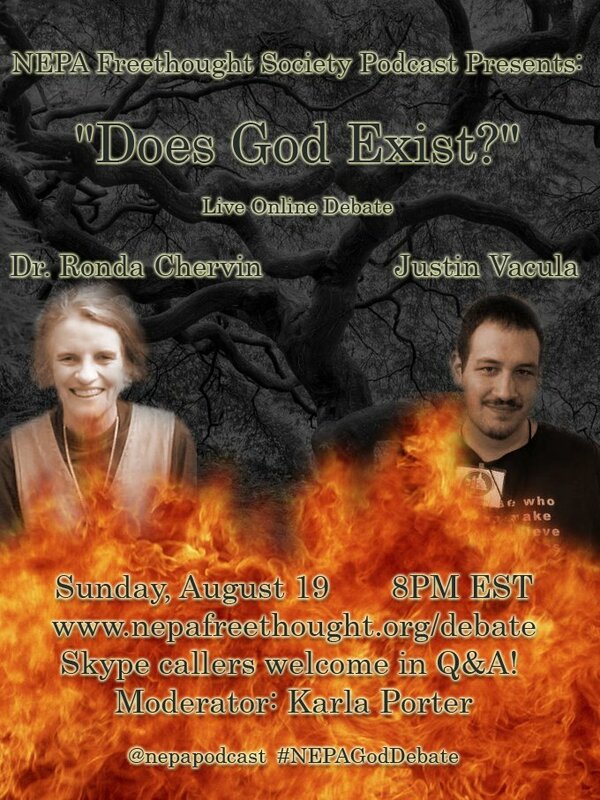 I attended with members of the NEPA Freethought Society and was interviewed. I was interviewed by author Kenny Luck (NEPATIZED! and Thumbing Through Thoreau). I would later be featured in chapter two of the book NEPATIZED!. Download the interview here. I was interviewed by WNEP News concerning the ‘Luzerne County Holiday Display Incident.’ This video was recorded after the nativity scene returned as part of an inclusive display. I was interviewed by WNEP News (local television) concerning the ‘Luzerne County Holiday Display Incident.’ This video was recorded soon after the nativity scene was removed.